We are one of the prestigious names as Placement Consultants in Visakhapatnam (Andhra Pradesh). 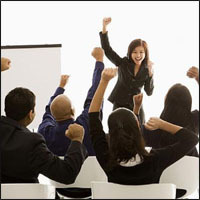 We also offer commendable Training & Development services to all our clients. We tend to offer our candidates with the best training strengthening their communication skills. The training that we provide helps our candidates to update all the soft & hard skills required for a specific industry. We are backed by the best faculty that is highly educated and thereby offer superb training to the candidates. Hold on! That's not it; we also offer practical training to all our candidates. If you have any query regarding this, you are free to contact us anytime!